Long time kayak angler, Ethan grew up splitting his time between the bass ponds at the farm and the marsh grass around Swansboro. As an avid outdoorsman, he enjoys sharing his passion for fishing with others. Perry's earlier years were spent in search of monster flounder and deep water adventures. After spending his college days fly fishing for trout in the Appalachians, he moved to Colorado to further his passion. Now having returned to the Crystal Coast, he's excited to help introduce the world of fly fishing to the area. 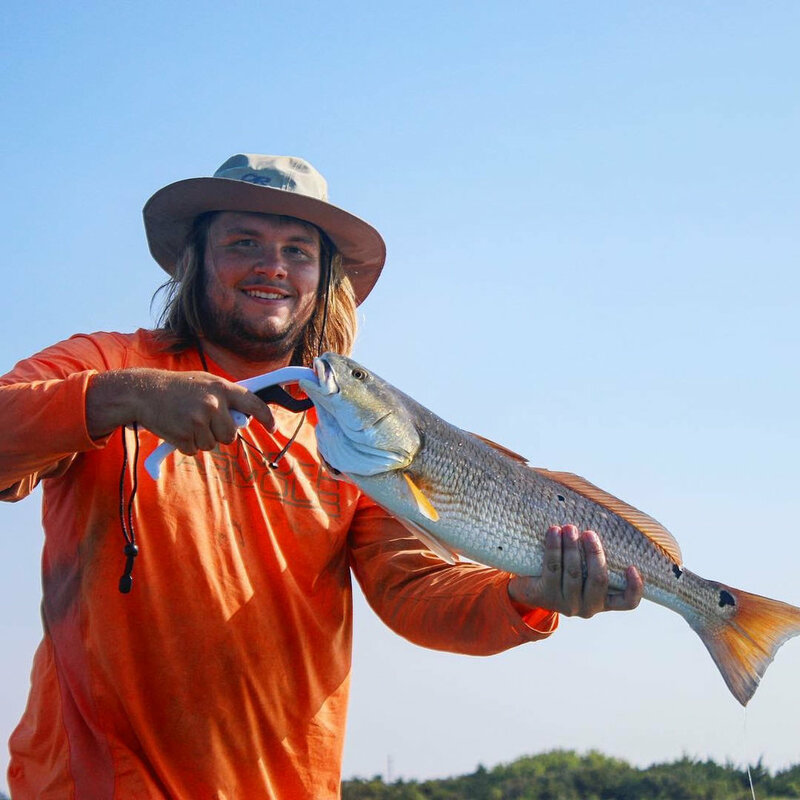 Swansboro native and local charter captain, Matt has spent his entire life on the waters around Swansboro mastering the techniques to catch anything and everything. If he's not out on the water, he's in the shop pointing everyone in the right direction. Another Swansboro native, Andy enjoys spending his time outdoors kayak fishing and duck hunting. Whether it be searching for schools of drum or monster trout, you can bet he is out and about paddling the marshes living life and loving every day.